Going to Sankt Augustin, Germany Miracle Jones had one goal in mind - finish research on WWII for her dissertation. When that research takes a turn, Miracle decides to follow it. But that detour leads her into some hot water with strangers trying to kill her. In desperation, Miracle calls on computer genius Tex for some help. Tex comes through as per usual by sending Beastmode and GSG 9's CIRO. 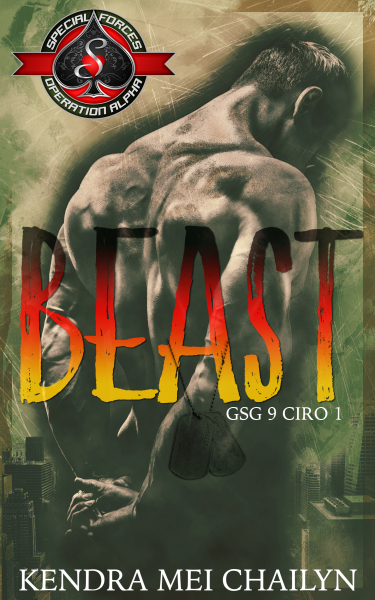 Alric "Beastmode" Gerhart loves what he does but he prizes his friends more. When long time pal Tex calls about someone in danger, he and his team rides off to the rescue. But he never counted on Miracle and the way his body would react to her. To make matters worse, Alric is about to find out some truths that will blow is world apart. When the smoke clears, Miracle might not be the only casualty.